Fitur special promotion. 10% discount in your reservations until 31 March. Introduce “FITUR19” making your reservation only in our website. -Discount 5%: Enter WEB18 when making your reservation in the section “Promotional code” to achieve a 5% on all rates. 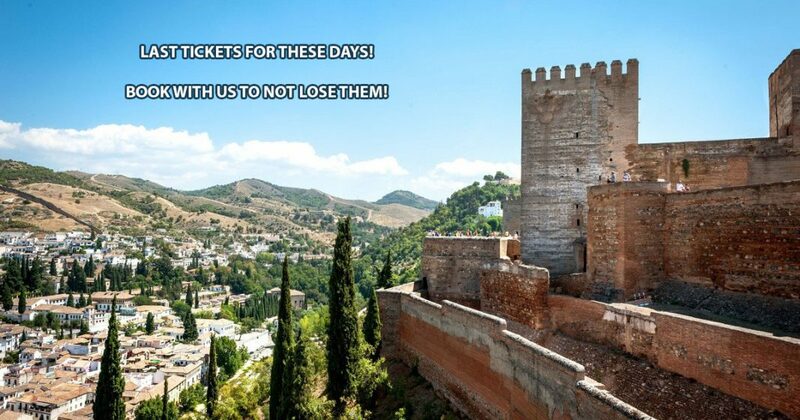 -Alhambra Tickets: In june and july we give you your tickets for the Alhambra. Write “ALHAMBRA” in the comments section making your reservation. -Other: If you have the code for another promotion, enter it in the section “Promotional code” making your reservation, and it will be applied to the corresponding rate.